The look of summer 2018. In and out lists are my guilty pleasure. I pretend I'm above that approach to trends, but secretly I love a good what's hot and what's not list. So, exactly what is on trend for our upcoming summer? Here's a brief rundown gleaned from research both here and in Europe. IN: Tropical prints and botanical highlights. This trend continues to grow and for good reason - no one decorates better than nature. It's all about blurring the lines between your interiors and the great outdoors. OUT: Any fringed hanging artwork. Macrame wasn't a good look the first time around and it hasn't improved with time. IN: Bamboo and rattan furniture. Because it simply screams summer and hipsters can't get enough of it. Buy original vintage or the cool contemporary designs, it doesn't matter, this furniture is as practical as it is casually stylish. OUT: Reproduction high-end furniture such as the Philippe Starck Ghost chairs. You know it's passe when they are sold at national chain stores. IN: Gold rules when it comes to metallics. Seen in bathrooms to bedrooms and every room in between, gold is a timeless and glamorous finish. OUT: Stainless steel (boring!) and copper has come and gone as a trend. IN: Pinks and blues. From azure to aqua blues, this is the perfect highlight colour, adding the element of water to any space. 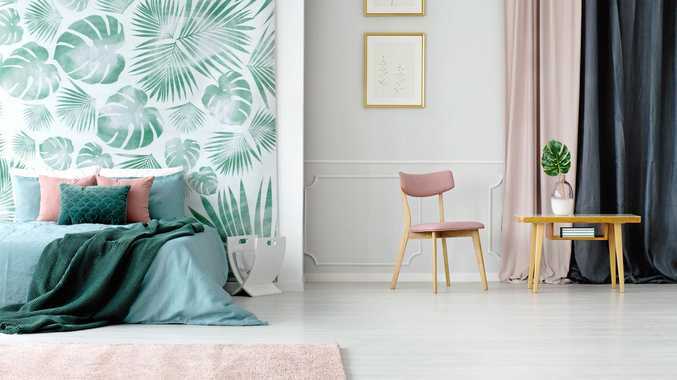 Alternatively, pinks were popping everywhere in Europe for their summer as it is the perfect foil for slate grey walls (still a huge trend). OUT: Tie-dyed and ombre (graduation from dark to light) coloured fabrics.